This is the best summer I’ve had in many years. Its not hard to beat last summer, with my dad very ill and then passing away in July. 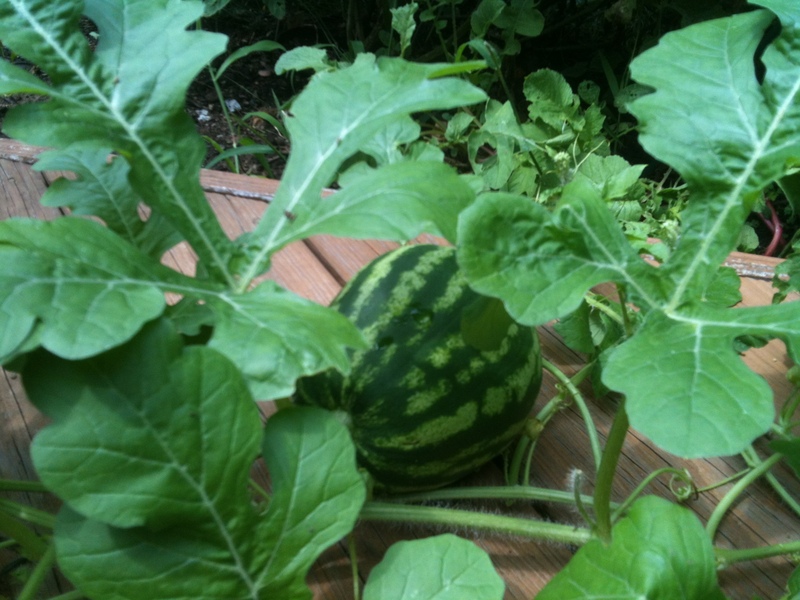 But even the previous years, I don’t think I was as immersed in all the glory that summer has to offer. My job, though part-time, was structured; my kids were in a ton of camps; and I had a little toddler who sapped me of all my energy. Summer 2012 rocks! By building my own company, I am also ensuring a lot of free time this summer. I’m busy with work, but have been able to schedule it around our needs as a family and our goals for having fun. So why is this summer so good? Perhaps these make good tips for anybody looking to maximize their experience in the hot months! We go to the pool as much as possible. We planted a vegetable garden. This has been so much fun! Its my first time, and we’ve made a lot of mistakes, but the kids and I love checking it daily, and while I can’t keep them from eating all the grape tomatoes right off the vine, hey, they are eating grape tomatoes (my kids are kinda picky!) 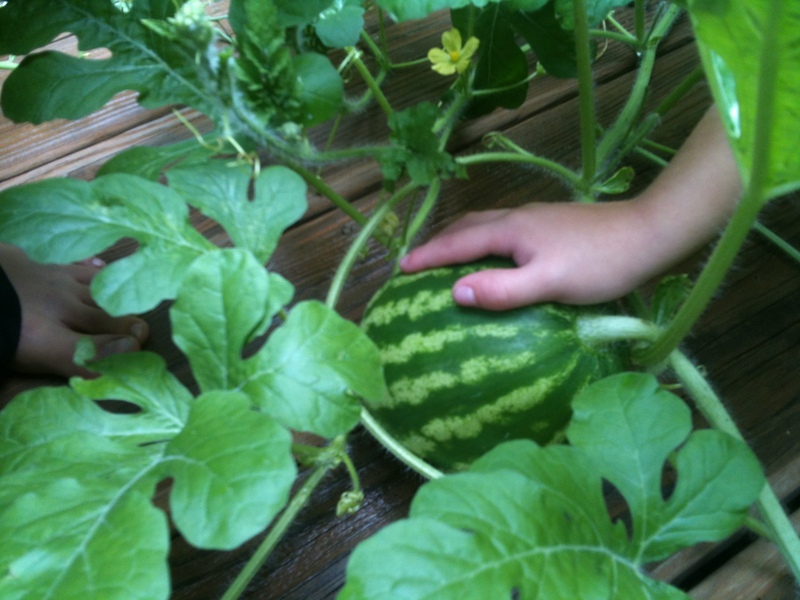 The single watermelon that is growing now increases in size a lot every day, so the habit is to run out and check it first thing every morning. The kids are only doing 2 weeks of camp! This is a huge change from previous years, and had much to do with my work schedule changing. Also, I was tired in previous years from driving three kids to 2 or 3 different places every day, and we never got to let go of the school-time routine of packed lunches and early wake ups. And even though camps are fun, the structure didn’t allow enough down time. I want the kids good a bored at the end of summer, I want them to want to go back to school! 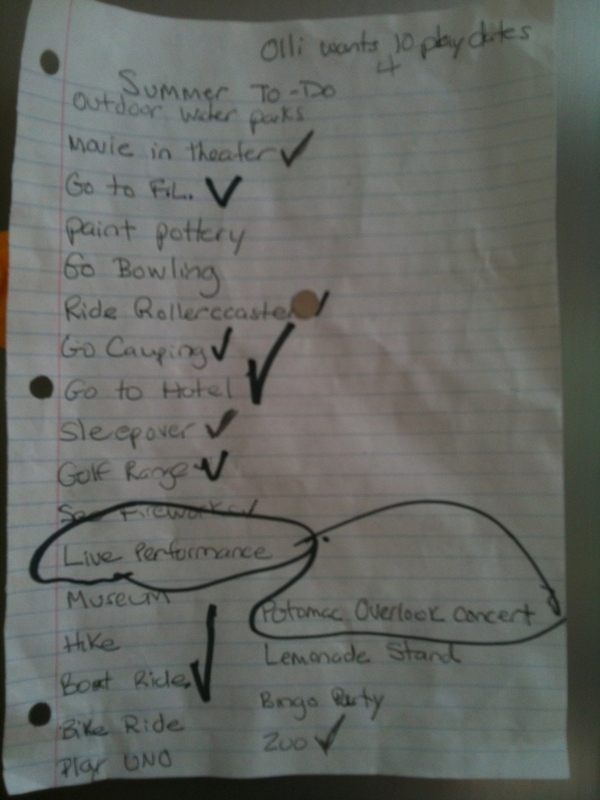 We made a summer “to do” list on the first night of summer break! I am not certain that we’ll get to everything on the list, but it has made it easy to fill our days with all of the must dos. I am sure that had ‘roller coaster’ not been on the list, we never would have gone to the amusement park in Ocean City after a camping trip to Assateaque Island! 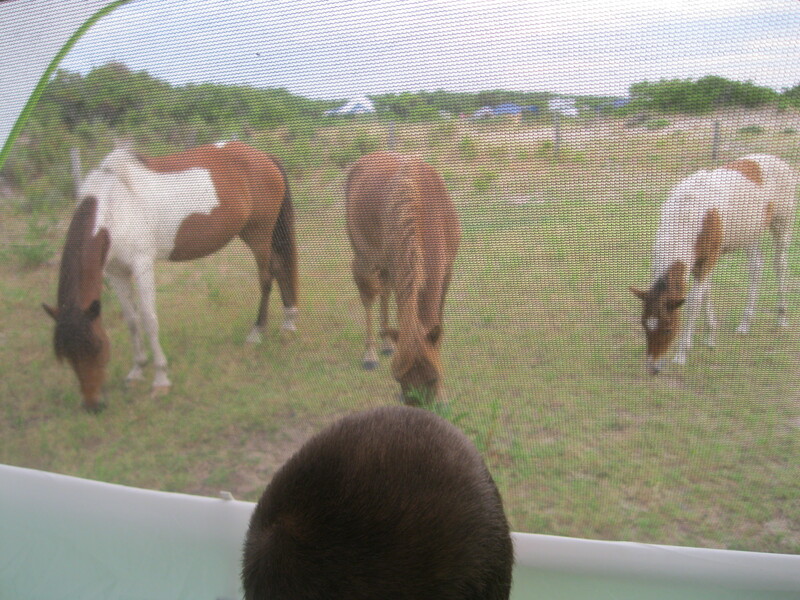 We camped at Assateaque Island; we had wild horses in our campsite both mornings! We visited grandma, and the other grandma & dadda (what the kids call their grandfather)! We are eating homegrown or farmers market tomatoes every day. The kids donated the revenue from their lemonade stand for the Animal Welfare League, $86! Just when we worry that the kids were too self-focused and obsessive about their own ‘stuff’, they were so motivated to do this for charity! The kids play with sprinklers, a baby pool and water guns a lot. I also “let” them wash my car! Nothing here is extraordinary or unique, but I find it is the sum total of all of it that makes this summer awesome. (Is there any meaning to the fact that ‘sum’ is part of the word ‘summer’?) I hope you are also having a wonderful summer, no matter how you are filling your days.